“We welcome, in particular, Sri Lanka’s co-sponsorship of the resolution indicating their willingness to implement it in full. The TNA has already welcomed the tabling of the draft last week after consensus was reached, and reiterate those sentiments. We hope that the spirit of cooperation that enabled consensus will animate the government’s work in implementing this historic resolution. Thursday’s resolution reflects a difficult consensus, and involved the weakening of some paragraphs in the original draft resolution and the strengthening of others. We are deeply mindful that any perceived compromise causes hurt to those most traumatized by the horrific crimes that have been committed in Sri Lanka. This remains our position to date. So, I urge the Hon. Members – who perhaps misunderstood our position – as much as you say that you worked on reducing the hard impact of this Resolution, we have in our statement said that weakening of some of those paragraphs have hurt the sentiments of people who are most traumatized. But, we have gone on to say, nevertheless that this gives an opportunity to move forward together and it is in that spirit that we have welcomed it. We are happy today that Members of the United National Party and the Sri Lanka Freedom Party, the two biggest Parties in this country, are agreed that this Resolution must be implemented. What you are saying is that you really did not even need this prodding from international community and you yourselves want to do it. That was reflected when you co-sponsored it. When you co-sponsor a resolution, it is more than agreeing to that resolution. It is taking ownership for the resolution. This Resolution is not that of the UN Human Rights Council anymore. This is your Resolution. Nobody who stands up and proposes a Resolution or seconds it – in this case co-sponsors it – can then say; “We will decide now what parts of this Resolution that we like, that we can implement and so on.” This is your Resolution. You fully own it and we congratulated you on the 1st of October 2015 for taking that bold step. We also congratulate you today for taking the bold step of abiding by this Resolution and for the speeches made on both Sides of the House affirming that this Resolution is supportive of the processes that you yourselves wish to initiate for accountability and for reconciliation in Sri Lanka. We are fully supportive of that. The Hon. Minister of Foreign Affairs, when he made the speech on the 14th of September at the UN Human Rights Council very clearly said, “We are no longer in the land of denial.” He was very bold. He even went to the extent of saying, “We have failed in the past – several Commissions were appointed; nothing saw the light of day; reports were not even made public”. Then, he appealed and said, “But, have trust in us. We are different now. We will deliver”. And I must say, your actions today in this House have demonstrated that. When he made that statement, we said, “Well, it is all good for him to say that in words. But he himself says that successive governments have not delivered, have failed and having said that merely asking people, ‘Now, have confidence in us’ will not work.” People must see action. People must see it being implemented. “The proof of the pudding is in the eating “; they say. They must actually see it happening. So, I want to repeat what we said on the 14th of September again in this House, not from a sense of superiority or anything like that, but as fellow citizens we appeal to you and say, let the people actually see it; feel it and experience it. Your words today are most welcome. But, please remember they remain only words up to now. This Resolution must be implemented in full. I say, “in full,” because I was rather disturbed when the Hon. 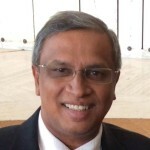 Mahinda Samarasinghe sought to make a distinction between “implementing the Thirteenth Amendment” and “implementing the Thirteenth Amendment in full”. I asked him, “What is the difference?”. If it makes any difference, after this, in every sentence you mean to say, “I will do this” you have to say, “I will do this in full”. If you give a commitment to do something, you do it. You do not come and say, “I never said I will do it in full”. So, because of that speech made in the morning, I am saying now that “this Resolution must be implemented in full”. Otherwise, I would have stopped with the words, “It must be implemented”. But, it must be implemented in full for the reason that I have already stated that this is your Resolution, nobody else’s, not ours, you co- sponsored it. This promise that the Hon. Minister of Foreign Affairs made very rightly and very boldly must be kept. Because it is in keeping that, that we can together stand up in the international community and show the others that we keep our word; that we deal with these difficult issues. These are difficult issues, no doubt. But the measure of our country in the international community will be known only when we keep to our word and we implement. We actually have to show it in action. Sir, I want to say a word about sovereignty since that word is often misused. Sovereignty is the right of a people – perhaps of a republic – to rule themselves, to retain for themselves the right to make decisions and to implement them and not to concede it to one person or two or anybody else. It is a right of the people and that is why our Constitution also says that “sovereignty resides in the people”. But that cannot mean that sovereignty can be exercised only by some people to the exclusion of others and that has been the problem in this country, because there are several peoples who inhabit this Island. They are in different proportions. Some are 70 per cent, some are 20 per cent, some are 10 per cent and some may be 5 per cent or even less. But that does not mean that a particular group that is superior in numbers can solely exercise sovereignty and exclude others from exercising any measure of sovereignty. That has been the issue that has plagued this country and if we are now truly turning around, if we are now seeing a new path, that must be a path in which every single person, every citizen must have equal citizenship rights, irrespective of which peoples group he or she belongs to. That right of sovereignty must be real. It is not with regard to citizens and non-citizens or colonial rulers. It is also within this country. That sum, merely because of numerical superiority, does not hoard that sovereignty to themselves and exclude others from having any share in that sovereignty. That would be a mistake. I am saying this because several statements were made with regard to sovereignty. It is because we were specifically excluded when the Republican Constitution was made in 1972 that this issue heightened. Firstly, it was equality. It was discrimination. But the First and the Second Republican Constitutions excluded us from the exercise of sovereignty, from the exercise of State power and that is why we said, “Well, if you exclude us, then let us have our own way. Leave us alone”. My Party President, the Hon. Mavai S. Senathirajah, read out to you a newspaper article of a meeting that was held recently where several Members of this House – I am sad to say – have said, “We will now create a Sinhala State in this country”. If that is the case, then necessarily you will have to allow us to be by ourselves, because we do not belong to the Sinhala State. I am a Sri Lankan, but I am not a Sinhalese. The Sinhalese are a great race with a long tradition. They can be proud of their heritage. But I do not belong to that race. I am a Tamil,and I am equally proud of my race. Being a Tamil, I have my own heritage; equally long, if not longer. Therefore, if you talk in terms of sovereignty and imply that sovereignty means that only the Sinhala people of this country can exercise it, then you yourself are telling us to divide. We are not asking for it. The persons who say that this is a Sinhala country are the very persons who are telling us to divide, to be separate. You are the separatists, not us. I said that I was very saddened that several Members of this House were saying that. But I am glad that they can be counted on one’s fingers, only a few, and that is why I said at the beginning of my speech that I am glad that the two major parties have agreed today that this Resolution must be adopted. This Government is also a hybrid Government – this is a season for hybrids. First, we had the cars; now, we have a Government. This is a hybrid Government. Let us have a court. That also reflects a new trend. That will give confidence to the people most traumatized by violence. Whatever mechanism that you institute will be useless if it does not have the confidence of the victims. It must be something that the victims appreciate; it must be something that the victims accept as a just mechanism. Grandeur illusions of sovereignty cannot instill in the victims a sense of belonging, a sense of satisfaction, a sense of justice. The credibility of that mechanism is the most important aspect, not what we think as our sovereignty. If you are truly concerned about reconciliation, if you are true to your word about being responsible with regard to accountability, then you must strictly adhere to what you yourself have proposed in the Resolution. In the Resolution they have very specifically stated the importance of certain persons who will not be citizens of this country participating in that special court. It says the importance of that participation. You have identified that as an important element, not the UN Human Rights Council, but you yourself. You have underlined it and said that judges, prosecutors, lawyers and investigators are important. You have categorized them into four categories and you have said that it is important that Commonwealth and foreign personnel participate. Surely, it must be participation by them in those very capacities; not otherwise, as somebody said, “technical assistance and so on”. No, if it is technical assistance of international community, you say “technical assistance of international community”. You do not separately identify the different categories of persons participating. A judge participates a qua judge; a prosecutor participates a qua prosecutor; a lawyer participates a qua lawyer; an investigator participates in his capacity as an investigator and not to sit and give advice as to how this is to be done. So, we urge more than you, that this Resolution must be implemented. Is it not strange that the Government sponsors a Resolution and we are saying, we are more keen that you implement it in full more than you, because we represent the victim community. I am not saying only the Tamil people are victims in this country. Many people are made victims through this war. But, if you take it as a whole, we perhaps represent those most traumatized by the violence, because that end period was most traumatic and most allegations about violations, about war crimes, about crimes against humanity arise from that period and as true political representatives of those people, of that community, it is our bounden duty to raise these concerns to underline what you yourself have underlined in the Resolution. We wish you underline and highlight it today – the importance of such a mechanism; the importance of such proper participation without which your mechanism for justice will fall flat on its face. We congratulate you for adopting the principles of transitional justice. The Hon. Minister spoke about the four pillars of transitional justice – of truth, of justice, of reparation and the guarantee of non-recurrence. The second pillar of justice must not only be done but also be seemed to be done. That is what Sir Desmond de Silva has said as quoted in the Paranagama Commission. That is what Sir Desmond de Silva, QC is reported to have said when he was a prosecutor in Gambia. What has he said? He has said; for people to have any confidence, all of these people – prosecutors and judges – not just a hybrid, he says, “all of them” – must come from outside. Your Sir Desmond – I say, “your Sir Desmond” because Desmond de Silva gave an opinion to the Government of Sri Lanka on the 23rd of February, 2014, five months before he was appointed to the Panel of Experts by former President Mahinda Rajapaksa. 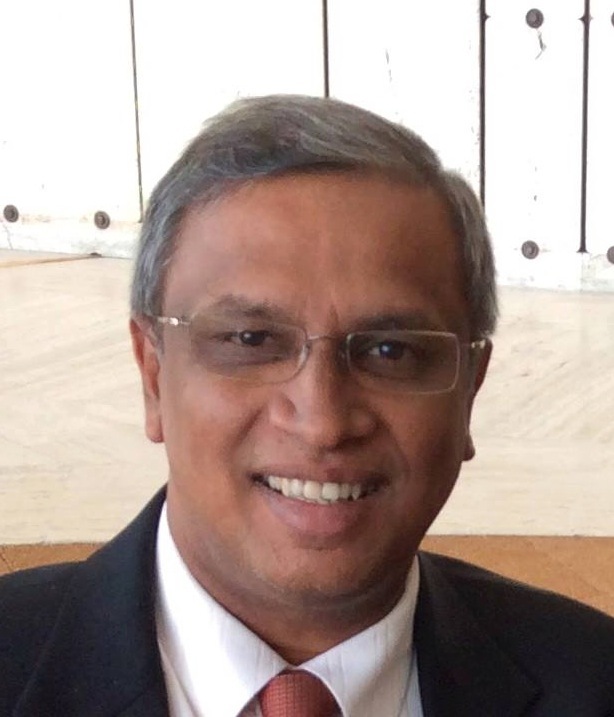 Five months prior to being identified and paraded to the world as an “independent expert”, he gave an opinion, for which fees were paid by the Government of Sri Lanka on the very questions that were gazetted – for him to assist the Commission to find answers on distinction, on proportionality and on collateral damage. On all of these three principles, he gave a written opinion dated the 23rd of February, 2014 and five months later, he was brought in as an independent expert. On the last occasion I spoke on this matter, I said this is a clear conflict of interests. Any final-year law student who studies ethics will know that and I urge the Government of Sri Lanka to make a complaint against him to the UK Bar Standards Board. I am thankful that somebody has made a complaint and Sir Desmond de Silva is now facing a disciplinary inquiry before the UK Bar Standards Board. But, the point I am making is that even Sir Desmond de Silva’s opinion, when he was performing another role, when he was not paid by the Sri Lankan Government – when he was paid, he gave another opinion – but when he was prosecuting in Gambia in the first internationalized court, the first hybrid court, as a prosecutor, his opinion then, was that every prosecutor and judge must come from outside. So, the point I am making is, even the person you bought for money, when he was not bought by you for money, gave that opinion, an independent opinion. Look at the Paranagama Commission Report. Quite contrary to what the Hon. Lakshman Senewiratne said, we are not picking what we like from this report and that report and putting together and saying others are bad. That is not what we are doing. He must follow the argument properly. What we are saying is that we wanted the Paranagama Commission’s mandate terminated forthwith. We never had any confidence in the Paranagama Commission’s sittings. In fact, the OISL Report, in its recommendations, states, “Terminate that Commission; terminate that mandate. That has no credibility”. Even today, that is our position with regard to the Paranagama Commission. The point that we are making, though, is very different. What we are saying is, even such a bad Commission, even that Commission, could not escape from saying that Channel 4 video does not seem to be faked; it seems genuine. All of those photographs of extra judicial executions do not seem to be faked; they seem to be genuine. Therefore, conduct an independent judicial inquiry. Sir, I will, at this point, say that because the Paranagama Commission Report on those three vital questions – on distinction, proportionality and collateral damage – for which they got international so-called “expert” help, went with Sir Desmond’s prior opinion on the Sri Lankan Government. They did not exercise their mind to the matter; they went with the paid opinion and reproduced it in this Report. They had to strike some balance; they had to show something that seems to be reasonable. And these are the issues they have highlighted – surrendering under a white flag; several other surrenders and of disappearances. So, there must be answers found to this. There must be persons held responsible for this. It is not only the army’s atrocities that are highlighted in the OISL Report. The OISL Report of the UN High Commissioner for Human Rights identifies several acts of the LTTE and terms them “war crimes”. We have very specifically, in our statements, welcomed the entire Report and have gone further and said, “This also gives us – the Tamil people – an opportunity to introspect”. As the Tamil National Alliance, we have said, “ We are prepared to lead our people through that painful process of introspection, of looking inward, looking to see what went wrong with us”. Now, we are prepared to do that. It is not a politically expedient thing; it is not a populist thing. It will bring us under a severe, sharp focus, but we are willing to do that because if we are to move forward, if the words “reconciliation” and “accountability” are to have any meaning in this country at all for the future, we must be prepared to do that. That is why I am happy that today in this House the two major Parties have taken that seriously, taken accountability seriously. Stop being a Government of denial. Accept that these horrific things did happen. We all are ashamed that this happened. But, let us see how we can deal with that justly, honestly and transparently to the satisfaction of the victims, more than anybody else – not to boost our image, not to contemplate what the other countries will think of us, of our national image, as it were. Let me say most humbly that we will only elevate our national image if we truly deal with these issues and rightly deliver justice without sweeping these matters under the carpet. Let me conclude, Sir, by saying that, as for the Tamil National Alliance, we are willing to give the Government our fullest support for the full implementation of this Resolution. The Resolution that you sponsored, we accept with its limitations – still, we accept it – but we want to see it fully implemented. It is not an easy task, we understand. It is not easy for you; it is not easy for us. But, we have made a start and we are willing to go with you in that journey. Our appeal to you is that you stand firm in your resolve to go through that difficult path and do not give in to extremist voices, because extremist voices on both sides can be marginalized fully if we come together and deal with these questions honestly and sincerely.